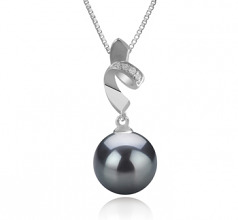 It is hard to believe that Tahitian pearls aren’t actually grown in Tahiti. 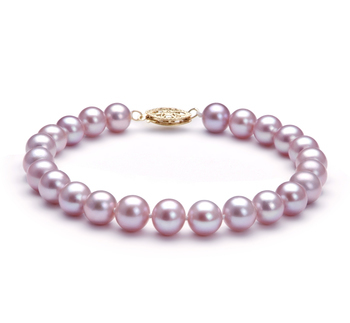 In fact, the main production of such pearls takes place in French Polynesia. 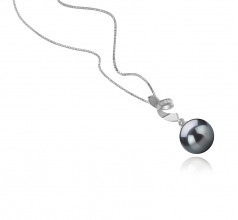 Yet each one of the black Tahitian pearls made including the one in this pendant is made to a very high standard. The round AAA pearl used in the making of this piece of jewelry is one of the most favoured as it is able to display a varied range of overtones that you won’t find on other pearls. The use of a silver necklace and bail also further helps to enhance this pearls natural beauty. 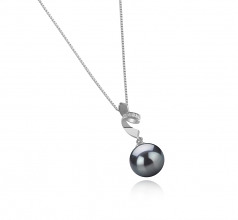 Although they are known as black pearls never are truly black. As you look closely at yours you will notice it might be blue, brown, silver, green or purple in hue. It is these different hues that help to make such items as this pendant with its 9-10mm pearl so unique and different. When worn it will add a touch of glamour to your outfit as well as bring out some amazing tones in your skin. Show only for "Winola Pendant"